Which Interview Follow Up Email is Best for You? it sends the message that you are a professional and organized job candidate. Select the email you want from these example interview follow up email templates. A follow up letter may not necessarily secure you the job but not sending one will almost certainly damage your chances. I sincerely appreciate the time you took today interviewing me for the position of ...... After learning more about XYZ Corporation and its goals, the possibility of joining the company is even more exciting. The information you provided has convinced me that I can make a positive contribution towards the growth and profitability of your company. The position we discussed is well suited to my strengths and skills and my previous experience at ABC is an excellent match with the job requirements. I would like to take this opportunity to thank you for the interview this morning. I was keenly motivated by the valuable information you provided on the job opportunity and your company. I would like to confirm my strong interest in this entry-level position. Your clear explanation of the requirements of the job reinforced my confidence that my education and background are a good match for this position and that I will prove to be an asset to the company. I have always been considered an enthusiastic and hard worker and I would welcome the opportunity to demonstrate my commitment and ability to excel in this job. Thank you for the time and courtesy extended me. I look forward to hearing from you soon. Use these key phrases to adapt the interview follow up email to suit the style of the job interview and your particular needs. Thank you for meeting with me today. I appreciate and value your input and advice. Thank you for spending time with me this morning. I came away very enthusiastic about the job opportunity. What I lack in specific experience in your type of business I more than make up for with my proven success in sales and my commitment and energy. The interview today confirmed that this is exactly the job opportunity I am looking for. From our discussion, I am confident in my ability to meet the challenges of the position of..... with your company. I am eager to hear from you and look forward to discussing the position further. After our meeting today I would consider it a privilege to work for your company. The in-depth information you gave me today has reinforced my enthusiasm for the job and the company. I enjoyed our meeting today and I am very excited about this possible job opportunity. 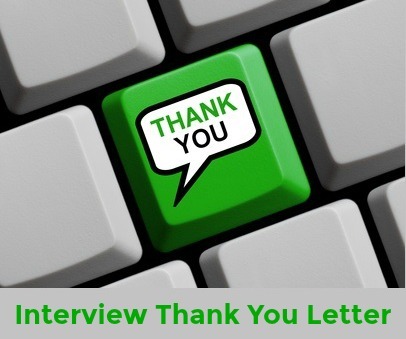 If you prefer to send a formal thank you letter after the interview you can adapt this sample interview thank you letter for your own use. This email shows you how to ask about the interview status. If more than a week has passed beyond the date you expected to hear back from the interviewer, you can send an interview follow up email to politely inquire about the status of your job application. A brief but polite email shows that you are still interested in the position and are willing to be proactive in finding out more. Since our interview on the .... I have been excited about the possibility of working as a Sales Administrator for your company. I hope you are able to give me an update on the progress of your hiring decision and the status of my job application. I am very enthusiastic about this job as my skills and strengths are an excellent match with your requirements and I believe that I can add real value to your company. My track record of consistently meeting sales targets in difficult trading conditions speaks for itself. Additionally, my strong communication skills and passion for customer service can be put to good use in growing your customer base. You emphasized the importance of reliability in this position. My excellent attendance record at XYZ Company confirms my commitment and dedication. Please know that I am always happy to go the extra mile. Thank you for your time and consideration. I look forward to having the opportunity to meet with you in person and discuss the position further. You can use this interview follow up letter to write a more formal letter after your interview. 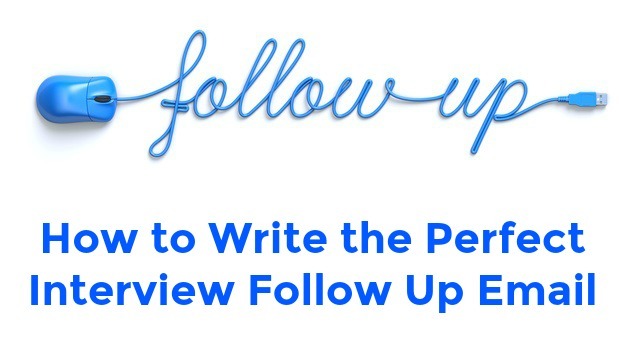 The secrets to a successful follow up letter. Job interview follow up email to use after your second interview. Job interview follow up is key to getting the job you want. Use it as an opportunity to further demonstrate your commitment and enthusiasm for the job opportunity. Once you have had your interview and conducted your follow up, don't just sit around waiting for a response. Actively continue with your job search and give yourself the options you deserve. Use these job search resources to help you.